The ministry partners and organizations listed below are essential to helping the Synod carry out its work. Our mission is to educate, motivate, and assist in developing planned gifts in support of ELCA ministries as tangible expressions of gratitude for God's blessings. 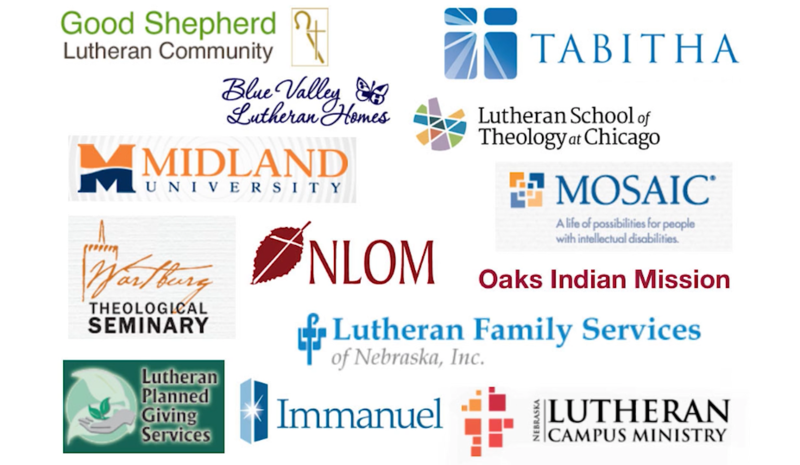 Whether it is a planned gift for one's home congregation or another ministry of the Evangelical Lutheran Church in America, Lutheran Planned Giving Services provides confidential charitable estate planning consultation for today and for the future - while helping members of the Nebraska Synod ELCA fulfill their wishes in advancing the Lord's work in ways they find meaningful and important. Blue Valley Lutheran Homes is a social ministry organization dedicated to serving the elderly, as well as the physically and mentally challenged, with dignity and respect through Christian love & compassion. Facilities include: Blue Valley Nursing Home; Blue Valley Care Home (for mentally challenged adults); The Gardens (for Alzheimer’s and Dementia); and Courtyard Terrace Assisted Living Apartments. No matter what, no matter where, it’s always home, if love is there. Love is here at Good Shepherd Lutheran Community, the love reflective of Jesus Christ, the Good Shepherd. We share this love with the flock we care for in our nursing home, special care unit, assisted living, subsidized housing, independent living, and child development center. Our community responds to the Lord’s invitation to know and be known by God. In every life, there are stories to be told. There are victories to be celebrated. There is joy to be shared. These are the stories playing out everyday in the Senior Living Communities of Immanuel and Immanuel Pathways. At Immanuel, it is understood that a home is more than four walls and a roof over your head. It is the place where you create your own life story. Because of that, Immanuel is dedicated to helping their residents, participants and suscribers make the most of every chapter of their lives. Beginning in 1892 as orphanages in Omaha and Fremont, LFS expresses God’s love for all people by annually impacting the lives of more than 45,000 people of all faiths. In its locations throughout Nebraska, Council Bluffs, Iowa; LFS builds and strengthens children, individuals and families through behavioral health programs, adoption and services for children and community services. Preparing Lutheran pastors, teachers, missionaries and lay leaders who are centered in the Gospel, committed to the faith, and are able to witness to the reconciling Word of God in their lives and through their ministries here and around the world. For more than a century, Midland University has been guided by a vision of educational excellence: to provide students with a quality education leading to success in life and vocation through a unified program of courses in career preparation and the liberal arts within the context of concern for spiritual growth and value formation as a college of the church. Through its ministry of Christian higher education the college enrolls over 1,000 students, with a student-to-faculty ratio of 15:1. Midland University emphasizes personal attention to the student as part of a quality education. Mosaic is an affiliated social ministry organization of the Evangelical Lutheran Church in America, a recognized service organization of the Lutheran Church - Missouri Synod, and a member of Lutheran Services in America. Mosaic provides individualized services, living options, work choices, spiritual nurture and advocacy to people with disabilities in more than 50 communities across 16 states and Great Britain. 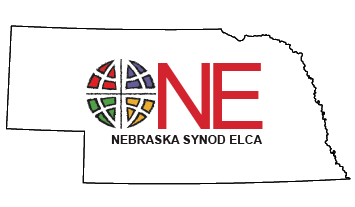 NeLCM is the ministry of the ELCA in public, private and church university settings across Nebraska. Campus pastors and ministers serve at Beatrice, Chadron, Fremont, Hastings, Kearney, Lincoln, Omaha, Norfolk and Wayne—inviting people in these academic settings more deeply into Jesus Christ and the community which bears his name so that they might fulfill their vocation as disciples. Providing opportunities for Christian growth and education through camp, conference and retreat programs. NLOM annually serves more than 2,500 summer campers and 18,000 retreat guests at Carol Joy Holling Center (Ashland), Sullivan Hills Camp (Lodgepole) and Day Camp locations across Nebraska. NLOM provides life changing opportunities for people of all ages across all seasons. Witnesses to the gospel of Jesus Christ in the heart of the Cherokee Nation, providing children in need with spiritual, emotional, physical and educational care in a community setting. Ninety percent of the annual budget is met through gifts from individuals and congregations. The heart of its ministry is the loving care for Indian children, all of whom have suffered some form of abuse or neglect. Many are orphans; others abandoned. Tabitha provides the most complete continuum of pre-and post-hospital services in Nebraska, serving more than 32 counties with quality, Christian health care. Tabitha offers Medicare-certified home health care, a nursing center, comprehensive rehabilitation services, private duty round-the-clock home care, housing, Meals on Wheels and hospice services. Wartburg Seminary serves the missions of the church educating women and men to serve as ordained and lay leaders in a worship centered community of critical theological reflection where learning leads to mission and mission informs learning.